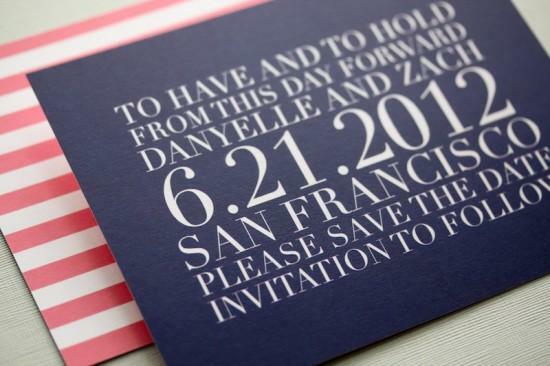 When it comes to wedding invitation printing, there are so many options out there it can get more than a little confusing. 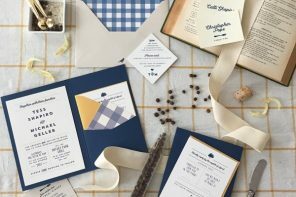 Hopefully this visual guide to wedding invitation printing along with notes on how they are each different (in style and price) will be helpful. 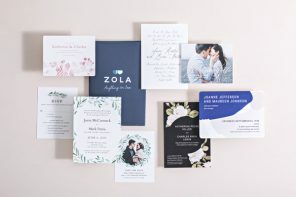 We’re also working on a bigger “Everything You Need to Know About Wedding Invitations” piece for later this week, which will go into even more detail about how to pick the perfect wedding invitation for your budget and style. 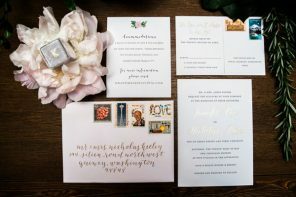 In the meantime, here’s a look at the different wedding invitation printing techniques available. Since pricing for designs, fonts, colors, and paper weight vary, it’s harder to give an accurate pricing guide for each. However, these are ranked from what is generally considered the most to least expensive. Let us know which ones you’re getting or prefer in the comments section below! 1. 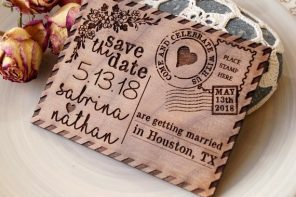 Engraving: This is considered the oldest form of printing (it dates back to the 17th century), and involves a process where the design/text of your wedding invitation is etched into a copper plate. The plate is then coated with ink and blotted, and the paper is pressed with two tons of weight. This pressure, like embossing (mentioned below) creates raised lettering and indentations on the back of the paper that result from the pressure. If you are having your wedding invitation engraved, you can usually ask for the copper plate your invitation was printed with as a keepsake. 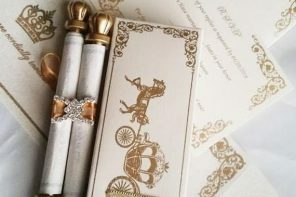 Black ink is usually the best color option for engraved wedding invitations, and is best for formal wedding invitations. 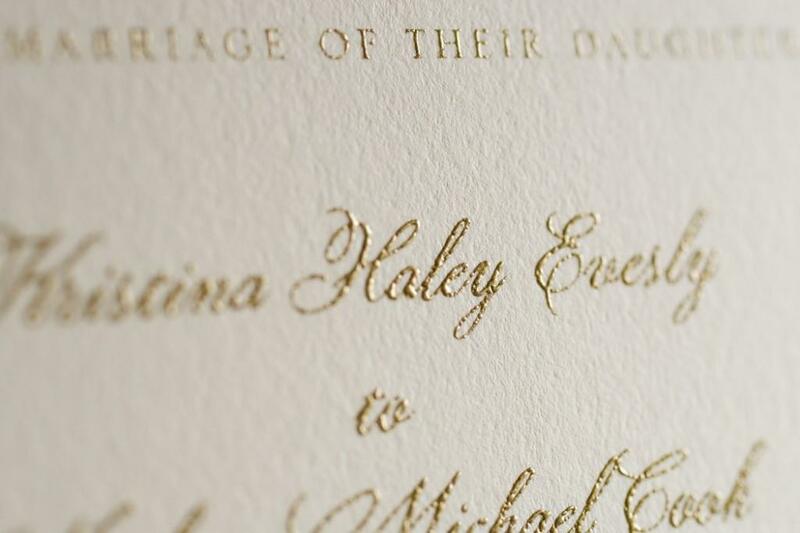 Engraving is typically the most expensive form of wedding invitation printing. 2. 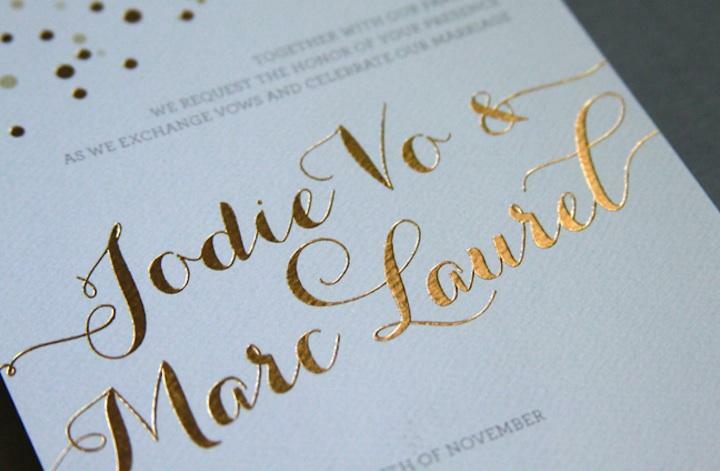 Foil Stamping: The design/text of your wedding invitation is etched into a copper plate, and the foil (which comes in rolls and doesn’t always have to be metallic) is heated and applied to the indented paper with pressure. 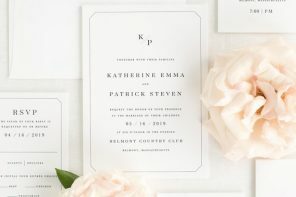 This is typically best suited for formal wedding invitations and can often be as expensive as engraving, though you typically have more options when it comes to choice of fonts. 3. 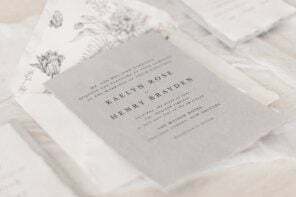 Letterpress: Photopolymer printing plates are made using your wedding invitation’s design and lettering. The plate is placed over the paper and then the “press,” which is inked with your colors, is pressed onto the plate. A separate plate is produced for every ink color used. Because this process has become so popular (thanks, Martha Stewart! ), it can get pricey. 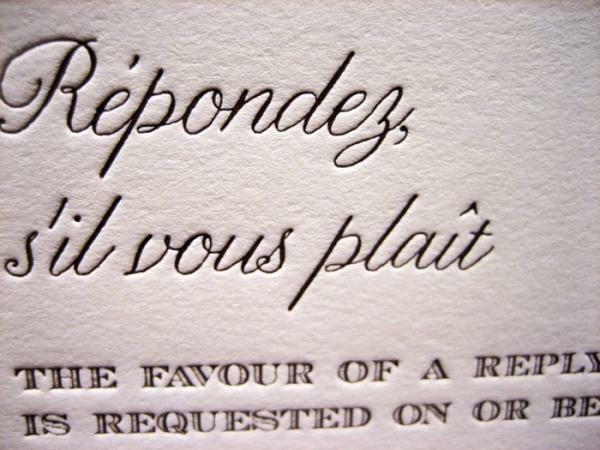 Letterpress printing is best for unusually textured paper. Since different colored inks need to be applied separately, it’s usually best to stick to 1-2 colors. 4. 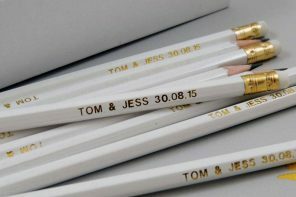 Thermography: A special resin-like powder is placed on paper which is then printed with ink. These are then heated to create a raised surface. The great thing about thermography is it’s hard to tell the difference between it and engraving. The only thing that is most likely noticeable is that the back of the invitation will have a smooth surface (vs. an indented one that engraved wedding invitations have). 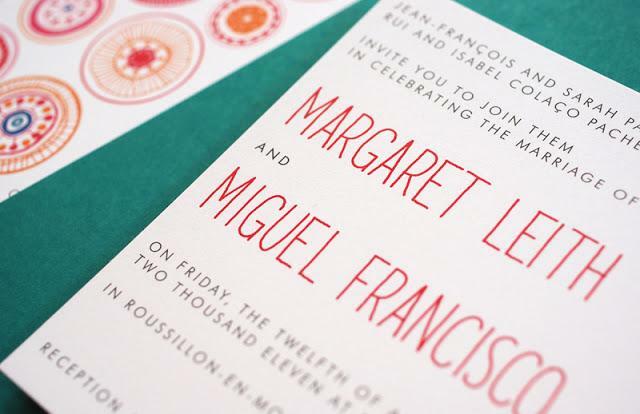 As with Letterpress, inks are applied separately so it’s usually best to stick to 1-2 colors. 5. 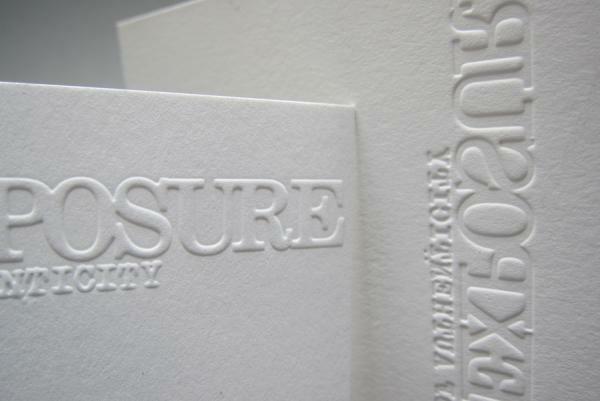 Embossing: Metal plates etched with letters are stamped into paper to create a raised surface. No ink is involved with embossing, which means it’s typically better suited for return addresses on envelopes, borders on an invitation, or initials for a monogram. 6. Offset (also known as Lithography): An inked impression is made from a plate to a rubber-stamp like surface, which is then transferred to the paper. 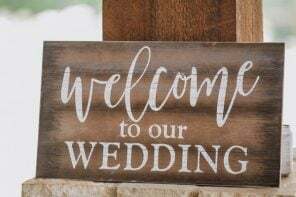 Offset printing (which produces a flat image) is considered a higher quality than digital printing and is typically a budget-friendly option for brides looking for one step-up from digital printing. You have a ton of flexibility as far as color options and number of colors you can use. 7. Digital Printing: With advances in printing technology, the differences in quality between offset printing and digital printing are becoming few and far between. 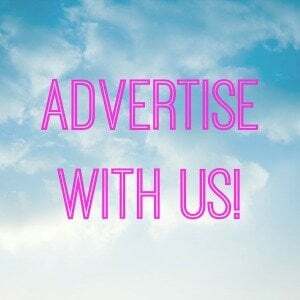 Digital printing, which also produces a flat image, can be done at home with a high quality laser printer, or via a printing company that allows you to print a thicker paper stock. 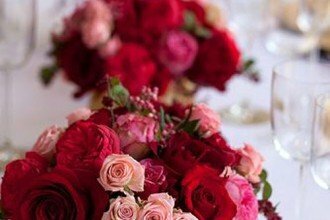 Since plates are not required, this is a fast and inexpensive option for many brides looking for vibrant color options. One important note if you are printing at home: Laser printers are much better at printing type and graphics than Inkjets. Like Offset Printing, you have a lot of flexibility in terms of the number of colors you can use for your budget. 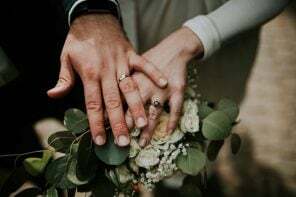 I am divorced and I did not change back to my maiden name after the divorce. 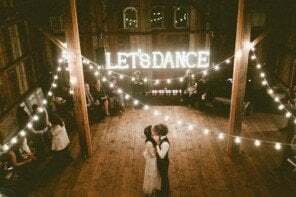 I am marrying again and I have a question: on the wedding invitations do I or should I use my maiden name or my current name on the invitation. Please advice what is the proper edicate here. Do you recommend a certain laser printer for the digital printing? I am looking to buy a laser printer. Hello and thank you very much for the great post! I would like to know what is the font on the very first picture( word “London”)? 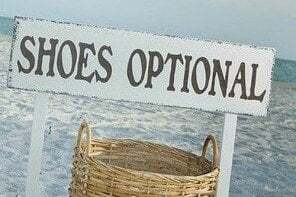 I am looking for that style already for a while because it looks to me very English and Regency like but I can’t find it anywhere as a font to download.